299 p., 6 ill., 12,2 x 19,4 cm. As a brilliant discoverer of laws of nature, Johannes Kepler (1571–1630) played a key role in Schelling’s and Hegel’s early natural philosophy. For romanticism, he was the absolute prototype of a genius. 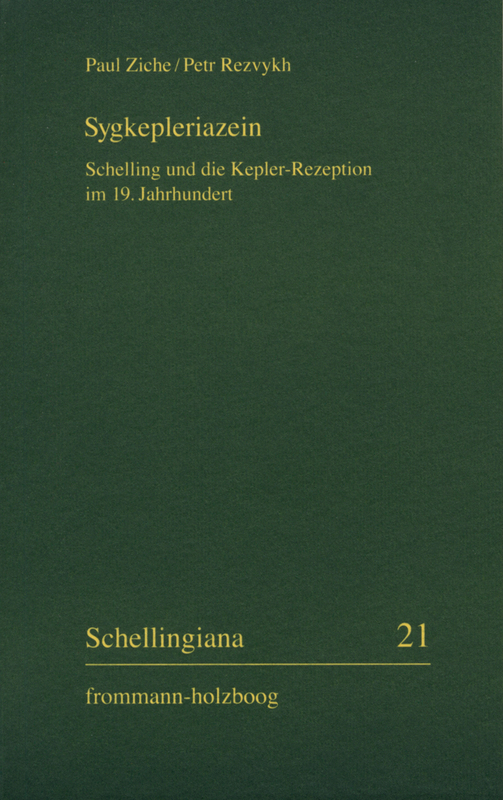 It was around 1840 when Schelling advocated the first complete edition of Kepler’s works in a different context, since natural philosophy was being harshly criticized by empiricism and inductivism. Newly discovered documents show how it was nevertheless possible to draw on Kepler and that idealist and post-idealist concepts of philosophy are not mutually exclusive but that the genius of Kepler, emphasized by idealists and romanticists, his imagination and his intuition, can be reinterpreted as criteria for scientific methods. Throughout the work there are papers and documents from archives, mainly correspondence, most of which have been newly interpreted and are being published here for the first time.